Well well well, the panicking over the yarn abundance has settled down, for now. If I can get to 7-8 inches from the armhole with the current skein then I have enough yarn. I think I'll be fine - phew!! The sweater knitting is fantastic while watching TV. You know I love mindless stockinette knitting and this project fits that description perfectly. I've been working on the Holly Inspired shawl (Holly picked this skein from the stash and when crazy with it...). I have the pattern memorized and I love working on it. I enjoy starting with a few stitches and then watching the shawl get bigger and bigger with each row! Karen, I love these colorways. 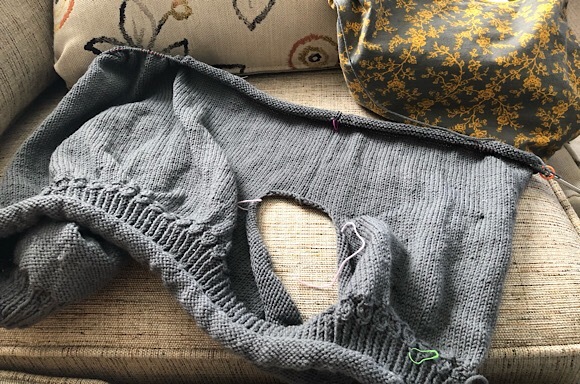 You are such a good knitter, always making great progress on your WIP's. 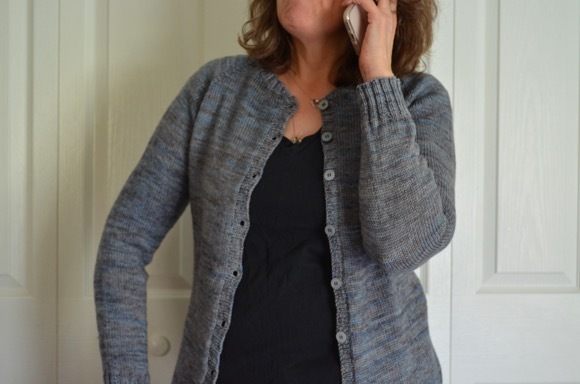 Nothing like a little "will I have enough yarn" drama to add spice to your sweater knitting! I'm glad you think you'll be okay for yarn; that is going to be a really lovely sweater! I have started my second sock. I’m not finished with the first one. It’s in time out. One day I’ll finish a sock or maybe a pair. I am never sure whether the panic of "will I have enough yarn" is a good thing or not, but it definitely makes me knit faster! Working on a Flax Light Sweater this morning. Both of your projects are lovely and coming along so nicely. 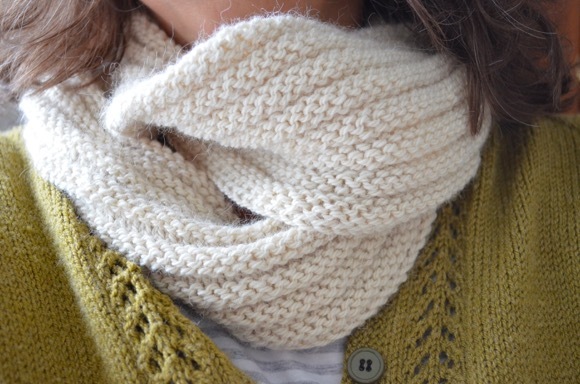 I love how you are calling the shawl Holly Inspired - Perfect!! Glad to hear it doesn't sound like you'll have a game of yarn chicken in your future. I'm also happy to hear your attitude about the 'messy' skein. 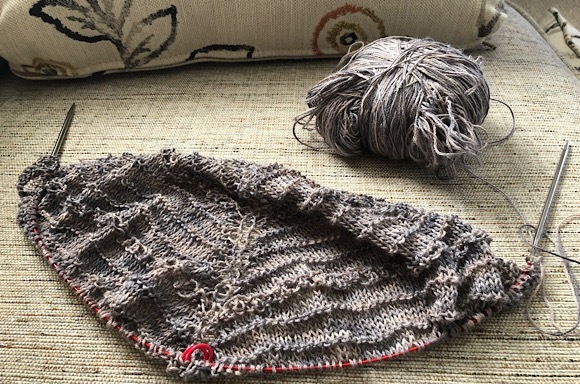 Instead of it being a 'messy' skein, it's a 'Holly chose it' skein, and it's knitting up into a lovely shawl! Both projects are coming along beautifully. I am glad the panic over enough yarn has subsided. The way shawls grow mesmerizes me. Holly has good taste in yarn. I'm enjoying my current shawl. What an interesting way to choose your yarn! i can certainly relate to yarn abundance! I can either worry about too much or not enough to finish a project. Speaking of finished projects, I just finished a shawl that was probably the hardest project I've ever tackled. It's on my blog now. Love both your projects, too!